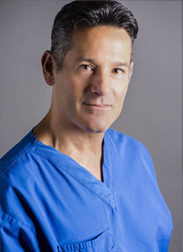 Today on Concierge for Better Living Doc Rob is joined by Dr. Mark Rosenberg, Founder of Advanced Medical Therapeutics. Dr. Mark Rosenberg received his doctorate from Georgetown University School of Medicine in 1988 and has been involved with drug research since 1991. He has several certifications in fields including medicine, psychology and fitness. Dr. Rosenberg has experience in both the public and private sector. He with specializes in the mechanisms of cancer treatment failure. Dr. Rosenberg is an innovator, constantly developing new ideas, techniques, and drugs, to combat incurable diseases. Many countries outside of the U.S. allow novel drugs that have not gone through FDA trials to be administered to terminally ill patients with no other options. Dr. Rosenberg travels outside of the country where he treats individuals who are considered end-stage. Click here to learn more about Dr. Mark Rosenberg.